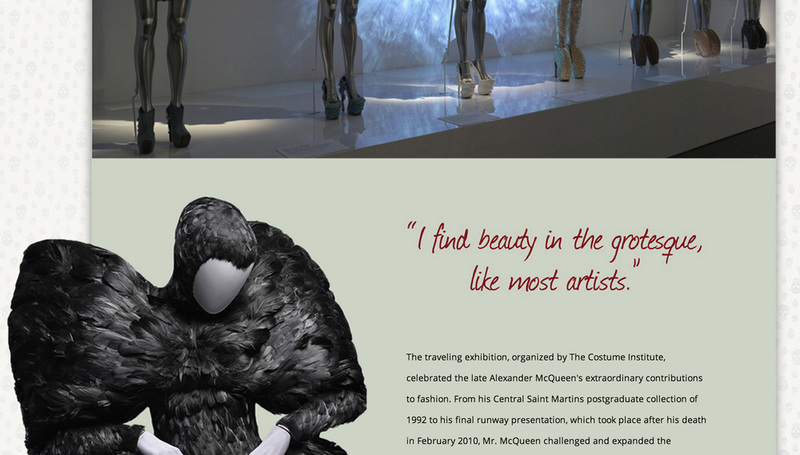 Mcqueen is a logo and website design based on the Alexander Mcqueen fashion brand. The designer is very much into life and death and the human anatomy and the logo was based on that aesthetic. The website is about a traveling exhibition that will tour around the United States and showcase some of the designer’s famous pieces. It features information about the background of the designer, some highlights from the exhibit, the designer’s inspirations as well as information about the event.